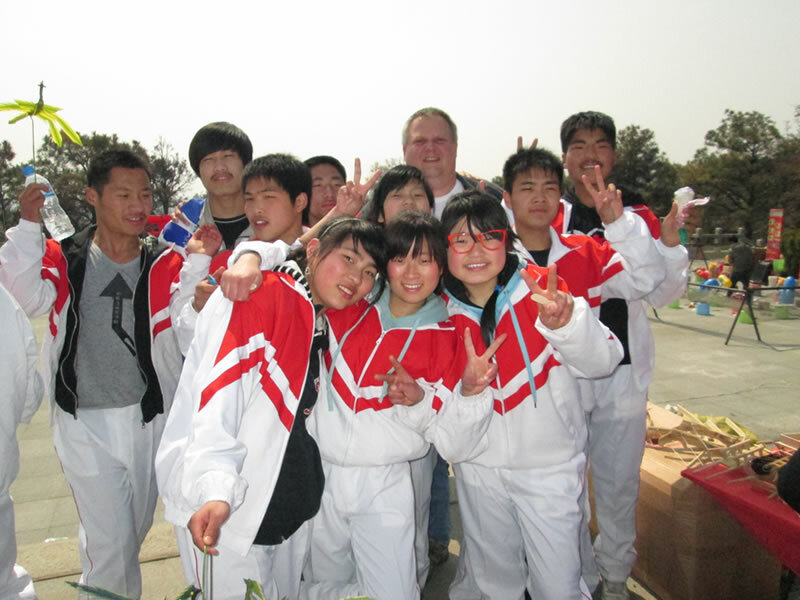 The idea of living and teaching ESL abroad can seem daunting even to experienced travelers. The realities of living in a new country that may have an entirely different language and culture than your own are things that all travelers need to prepare for, but don’t let anxiety about these factors stop you. 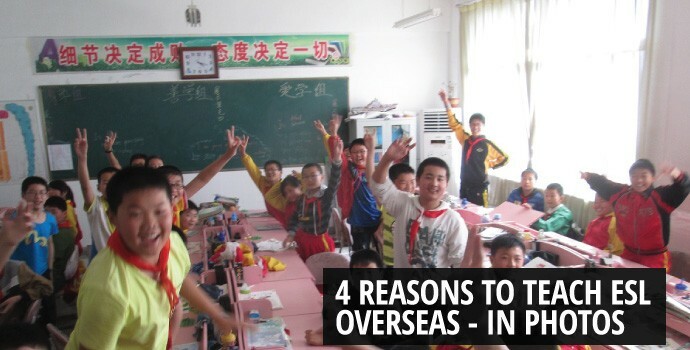 There are so many reasons to teach ESL overseas, you’ll be glad you did. 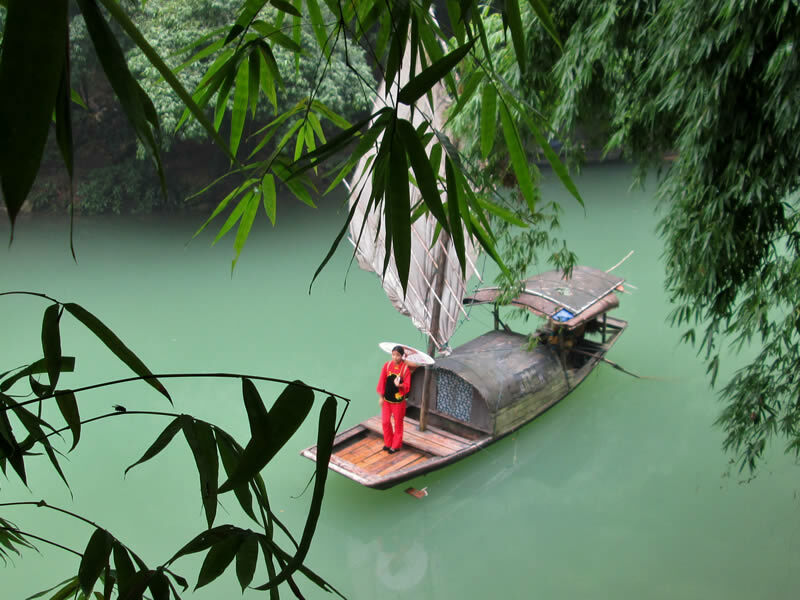 A Yangtze River cruise is a must for all visitors to China. You will see one of the largest dams in the world (Three Gorges Dam), and Fengdu (A ghost city where the dead are judged & reincarnated). 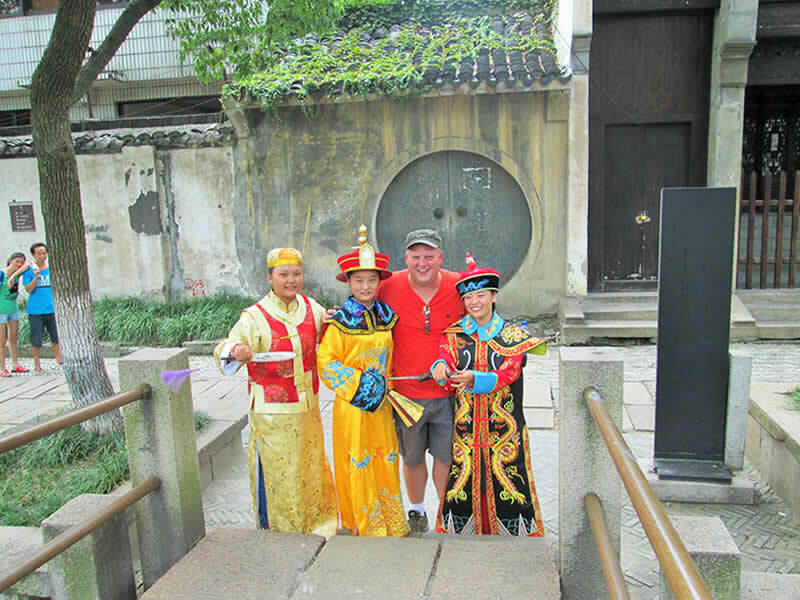 After 4 years teaching English in China, my top four reasons to teach overseas are: travel, meeting people, exploring new cultures and traditions, and the satisfaction that comes from working as an ESL teacher. While many articles will tell you why you should teach abroad, I felt that some photos from my adventures overseas could be just as useful to people considering ESL teaching as a career. All of the pictures come from my photo collection of over 10,000 pictures that I’ve taken during my time living in and exploring China. China’s most famous ambassador, the panda bear. 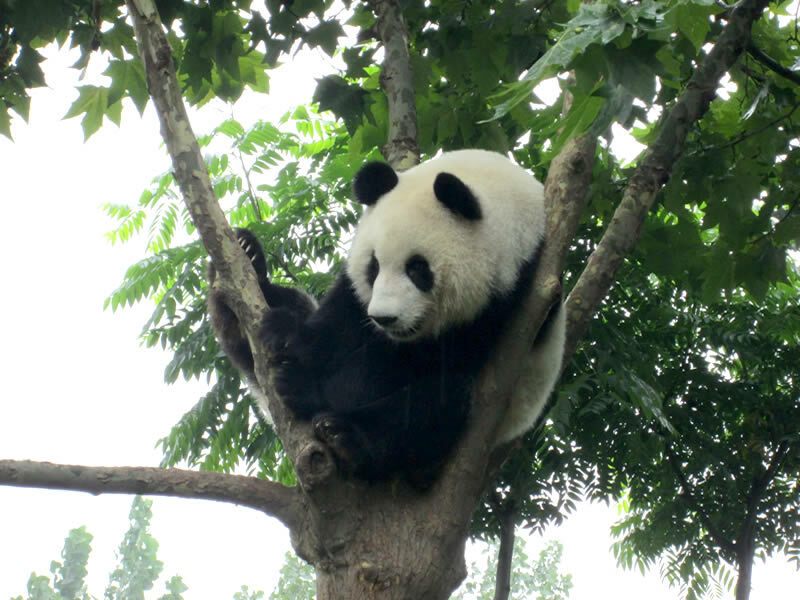 Chengsu is home to the Giant Panda Breeding Research Base where you can get a close-up with dozens of panda bears, while learning about them. Choosing the best photos for this article is no small task; each photo brings back so many memories and stories of my adventures as an ESL teacher. If you learn nothing else from this article, know that photography may become your new favorite hobby. 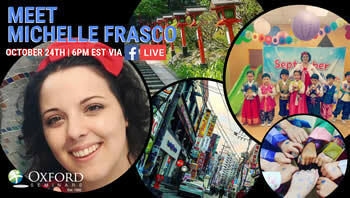 You use these photos to communicate your journey to family and friends back home. The photos can be used in a travel blog you might develop to educate others about your experiences. They are a great reminder of an important chapter in your life that you will never forget (but may need some refreshing as time goes on). 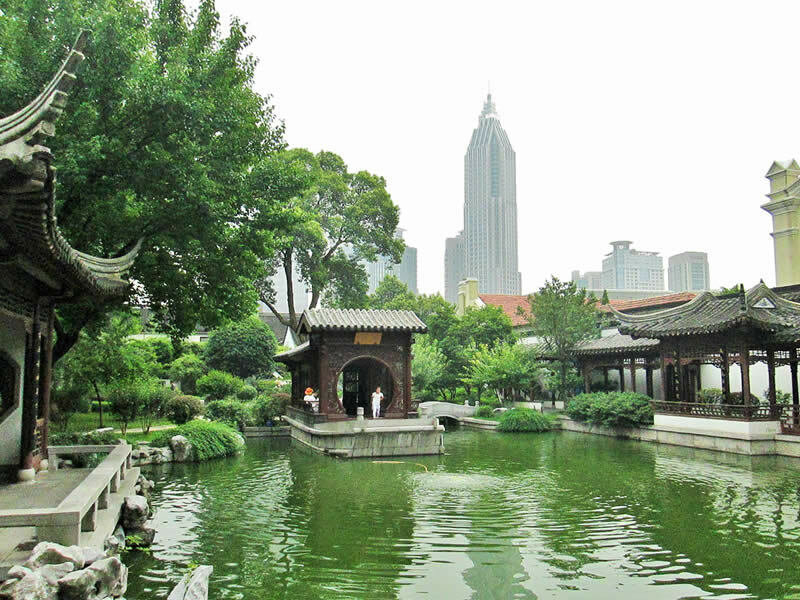 See the old mix with the modern at the Nanjing Presidential Palace grounds, a museum depicting Chinese history from all the way back to the 1300’s. 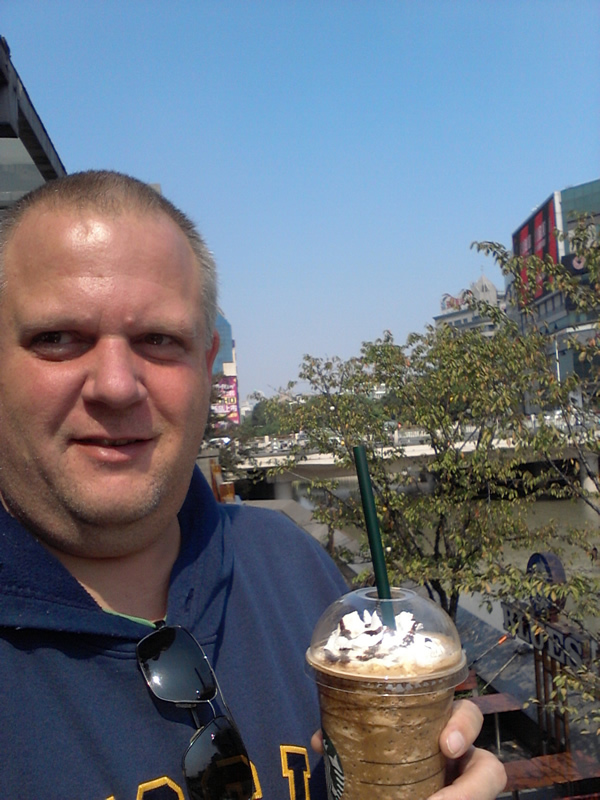 One of the greatest benefits of being an ESL teacher is the travel opportunities that are afforded to you. If you work in a public/private school in China, you can expect to have at least three months of free time to go explore your new host country. The following pictures are from vacations I have taken in China, Cambodia, and Vietnam. My first three years, I stayed in China to see this massive country. Although there are more places to explore in China, this past Chinese New Year holiday, I expanded my travels to include Cambodia and Vietnam. 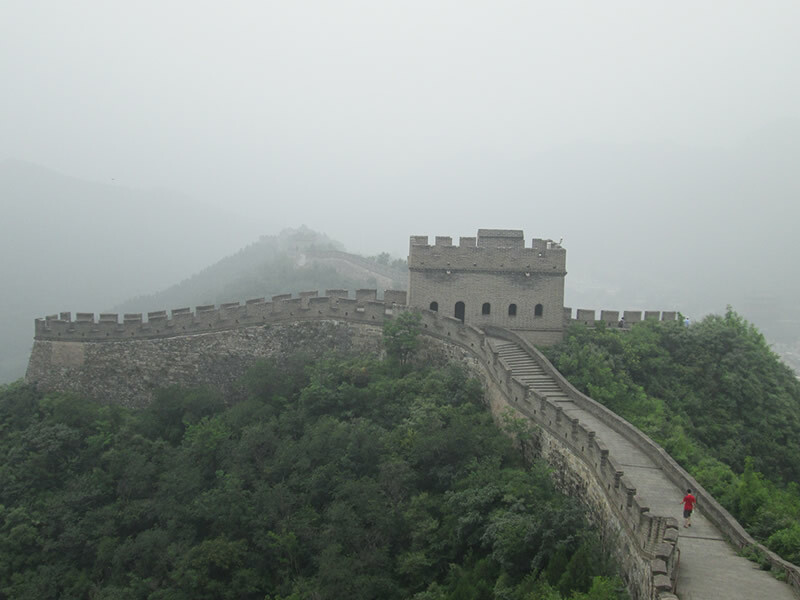 No trip to China would be complete without a visit to the Great Wall of China, which spans 5500 miles across the country. Located in the far southwestern provinces, near the border of Vietnam lies Guilin, nestled among the karst mountain features. 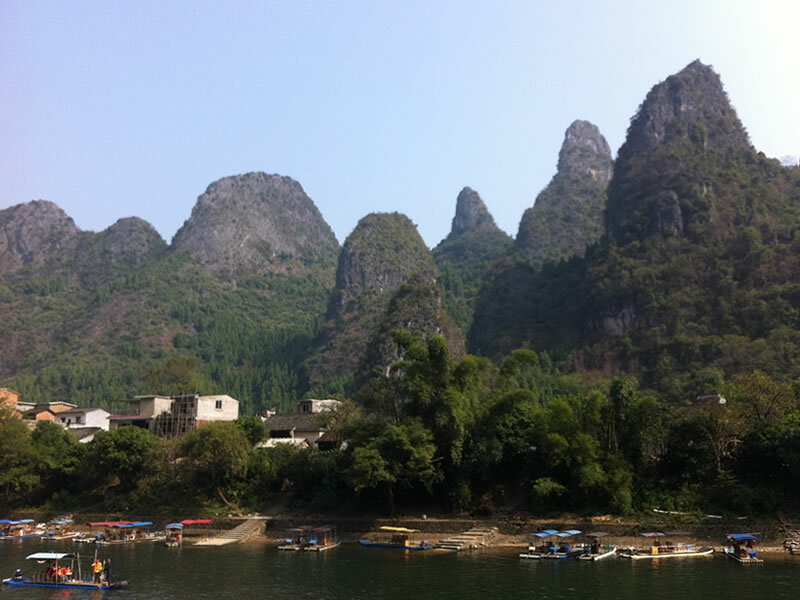 Guilin and the Li River are some of the most beautiful destinations in China. 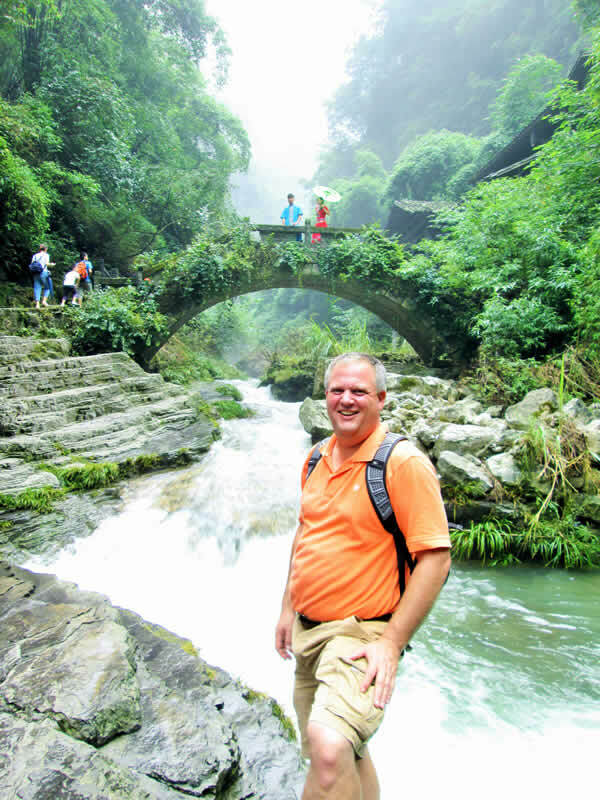 Another photo from my travels along the Yangtze river. These cruises are great for exploring China’s natural beauty and unique culture. 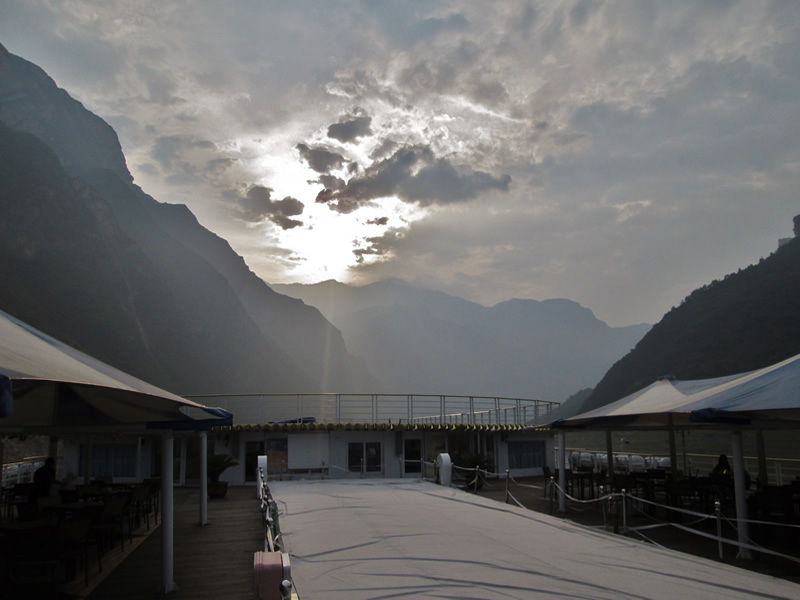 A sunset from our four night cruise along the Yangtze River. The hills in the background are just one of the three gorges you cruise through. The scenery is stunning in this section of the river. Being a “people person”, I have fallen in love with the Chinese people. I have learned so much about human nature through them. I quickly came to the realization that people are basically the same throughout the world. We may look different and speak different languages, but we are all trying to get through this life the best we can. As a stranger from another land, the local hospitality and curiosity becomes your best friend. Me talking with one of my winter camp students. Working at summer and winter camps has always been extremely rewarding for me. I learn as much from my campers as they do from me. Joking around with one of my students on a field trip. 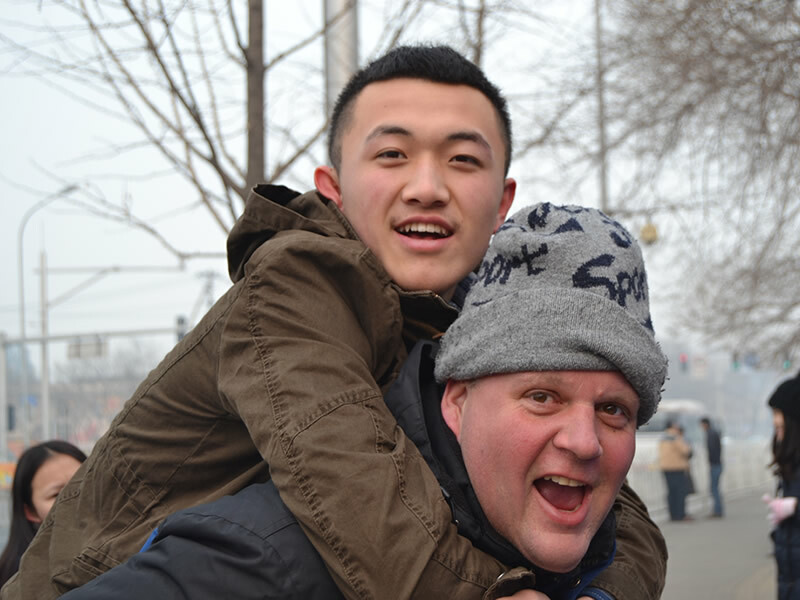 The bonds we build with our students as ESL teachers can be quite strong. This picture was taken four years ago and to this day, most of the students in that winter camp stay connected with me. What do people do for fun in China? It is not uncommon to find people playing cards, mahjong, & dancing in any number of venues. 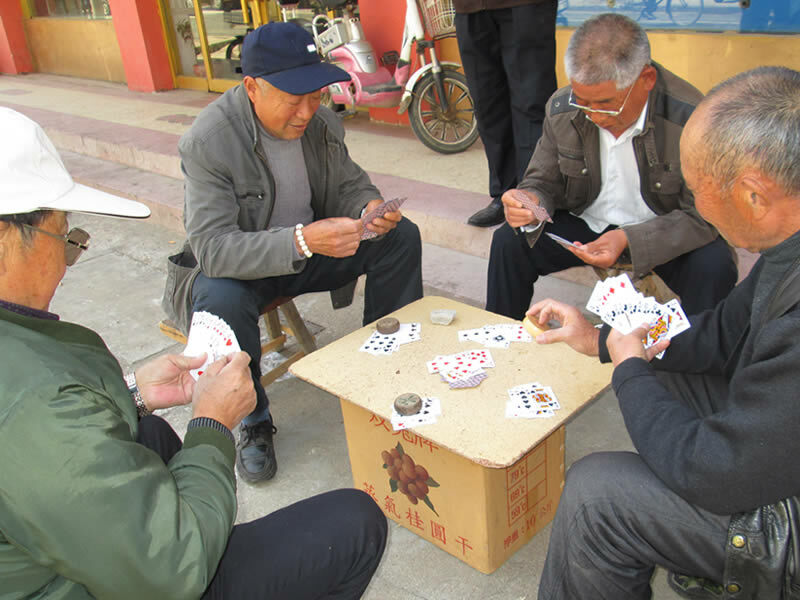 These card games and older traditions are quickly disappearing, being replaced with video games and other technology. A reunion with students from my first year teaching in China. Each year, I would have a meal and a get-together with them. I am very proud of their accomplishments. Put yourself out there and allow life to invite you into special circumstances. As you travel the world, you are going to see and experience things that are surprising and shocking. Culture is a unique beast in that we often forget that people from other parts of the world do things differently. 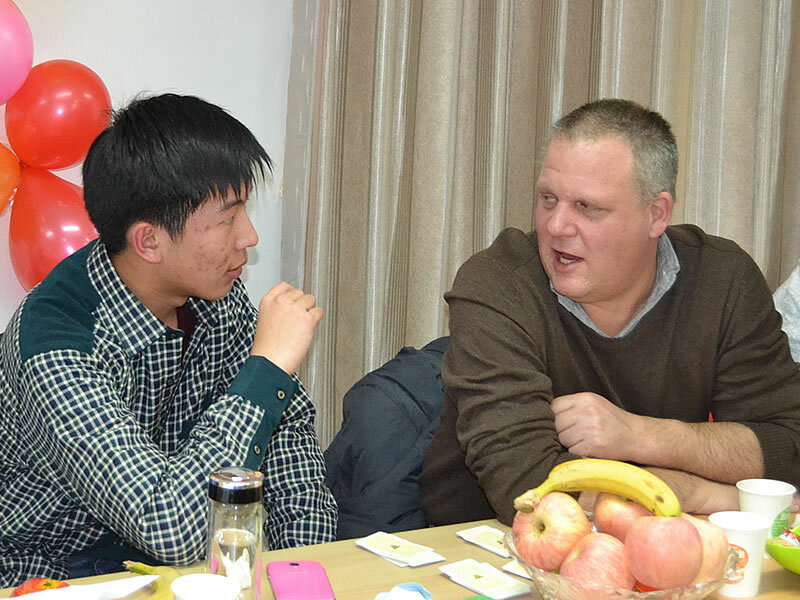 In China, many foreigners have adopted the mantra “TIC” (This is China). We use this term when we see and experience things that go against our personal norms. As a world traveler, one must always be on guard against judging other people for what we might feel is incorrect. We must always remind ourselves that WE are the guests in a foreign land. Their normal is our shocking surprise, thus adding to the adventure stories we get to tell friends and family back home. 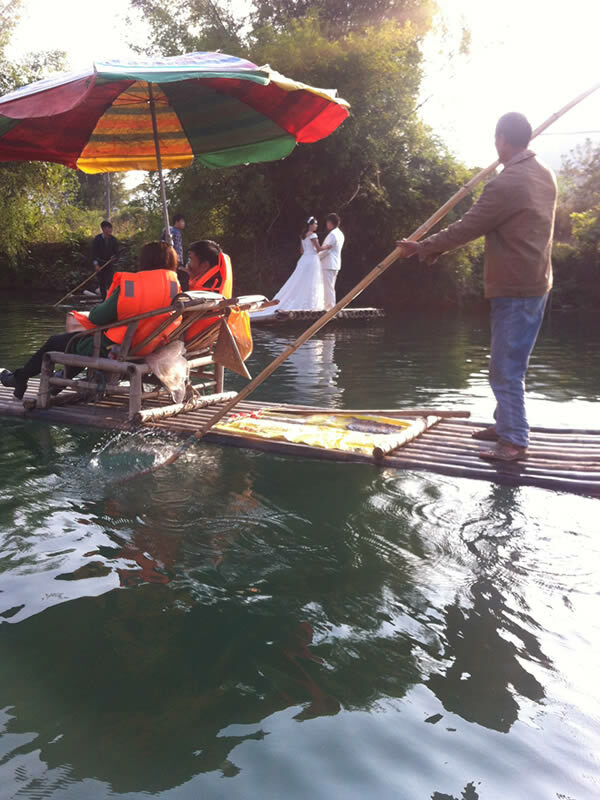 Wedding pictures are a big deal in China. An engaged couple will spend a day traveling to special sights with a photographer crew, like this photo on the Li River. Although you will see funeral parades in the street, as a foreigner, it is a rare honor to be invited to participate in the “festivities” to celebrate a person’s life. This experience is one of my most cherished memories, and it all happened because I put myself out there and explored the possibilities. 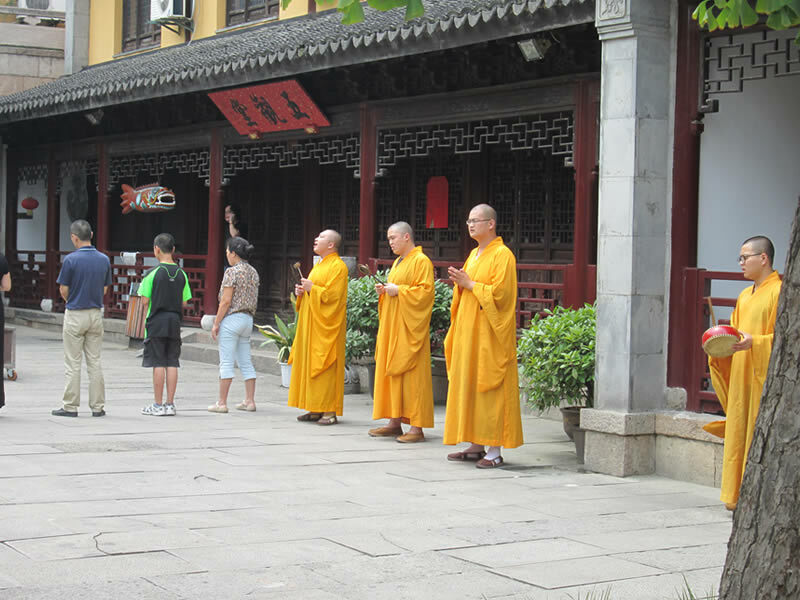 Monks at one of China’s Buddhist temples. The air is filled with the sounds of chanting, gongs, and other musical instruments, while paper offerings are burnt to deceased loved ones. 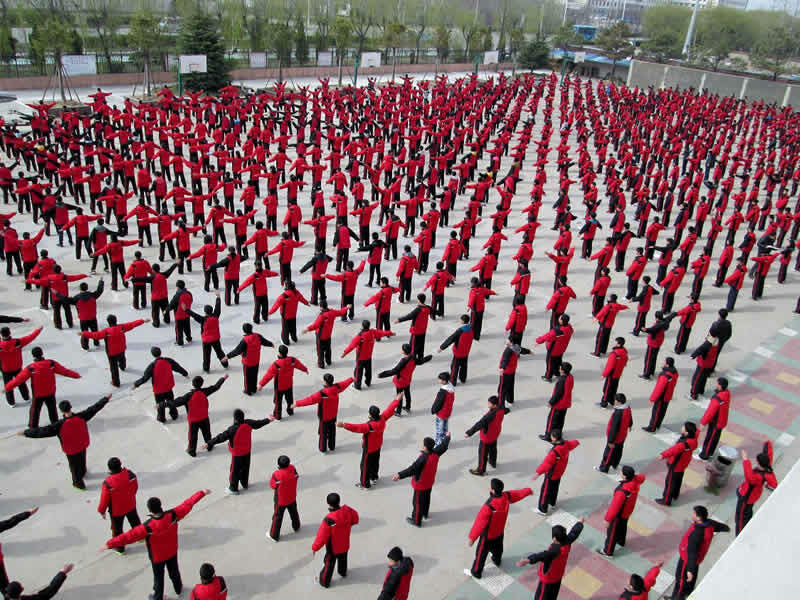 Education in China has a unique culture. Group daily exercises, lunch time naps, and even discipline are all culturally enriching experiences. Group exercise at my first school in China. Every morning and afternoon, the students would enter the playground area and do daily exercises to music along with jogging, dancing, and games. This is how boring of a teacher I really am. 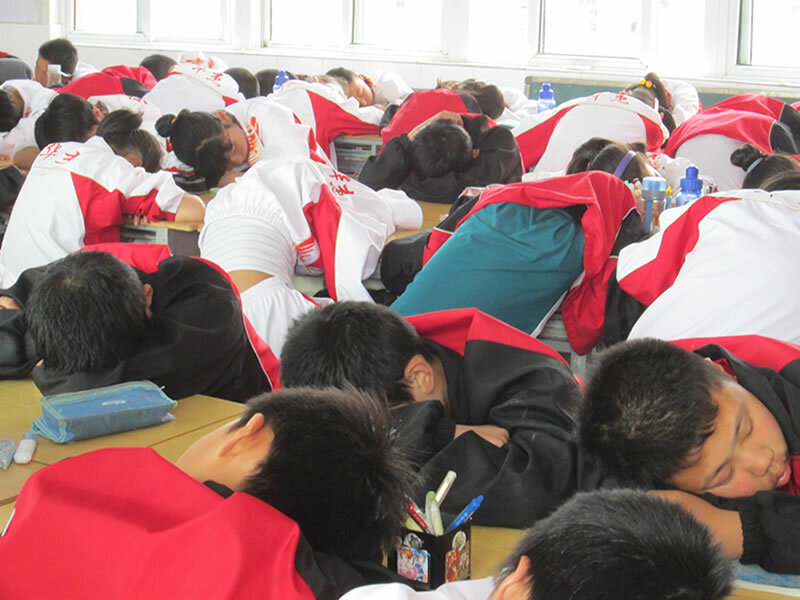 Seriously though, these students are doing what nearly every student in China does from around 12:30 to 1:30 daily. Since most students are in classes from early morning to late evening, naps are built into the daily routine. Religion is an important factor in culture. Regardless of your personal faith and religious beliefs, one needs to keep an open mind and enjoy the moments you have. Most importantly, do not judge others based on your personal beliefs. One needs to remember that they too feel that their faith system offers a way to higher enlightenment and everlasting life. Agree to disagree in your consciousness and accept your present experience. 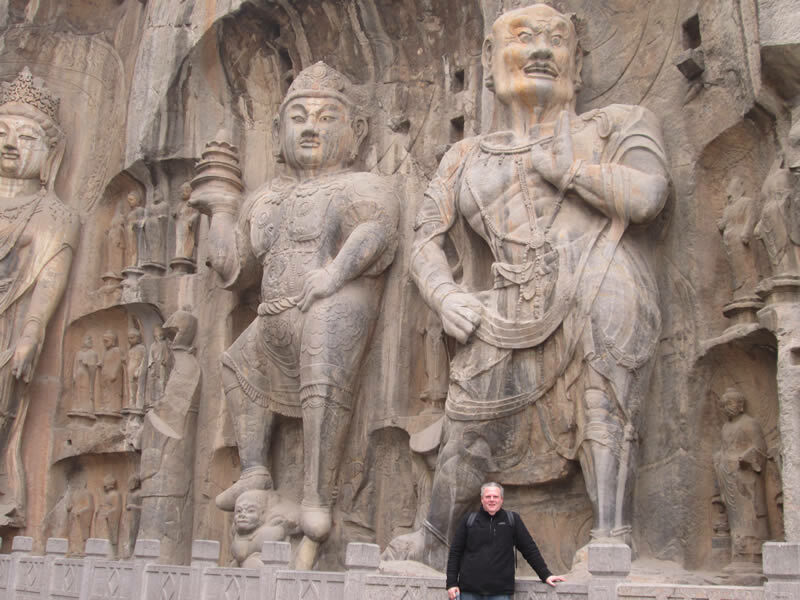 The Longmen Grottos of Zhangzhou have over 1000 Buddha and godlike carvings into caves and rock faces. The carving vary in size from a few inches to these enormous carvings. These were all carved by local monk sects in homage to their faith. 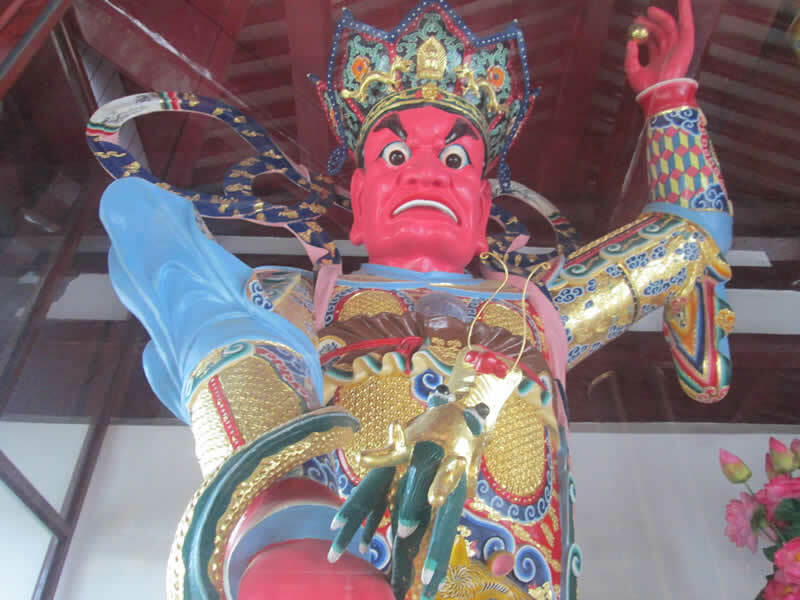 In many Buddhist temples, you are often greeted by four spirit gods that are usually very colorful and imposing in size. This is just one of the four guards ready to greet you. 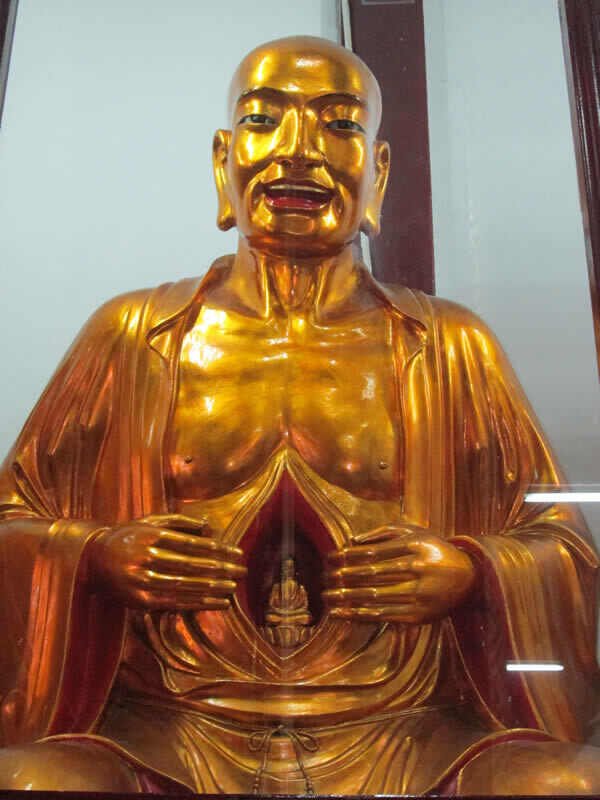 Buddhist temples often contain many Buddha statues representing various forms. Some are mundane, while others are quite exotic and unique. Pictured here is one of the more interesting statues on display. When nature calls, things can get confusing or go against what our comfort level might be. Whether it is getting used to squat toilets, toddler split pants for the convenience of squatting on the street, or just doing your business out in the open, we must adapt to our new surroundings. In China, squatting is the relaxed mode for just relaxing too. It is natural for Chinese people to squat because they have been doing it all their lives. For some foreigners like me, it’s not such an easy task. Another good thing to remember when living in any new culture is to ask for permission if you’re not sure what to do. The worst answer you can get is “No”, but the best answer is “Yes”. 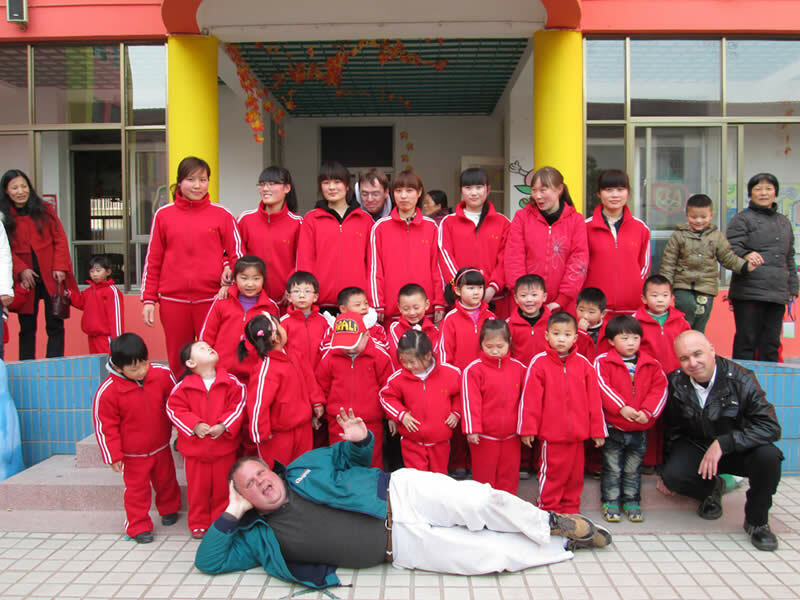 I asked to visit a local orphanage so that I could deliver Christmas presents to them. I received a “yes” answer and it is one of the most powerful memories I have. This orphanage is designed for children who were given up by their parents because of their special needs. Needless to say, the group I chose to go with me on this visit had to wipe the tears from their eyes all day. We may have wanted to bring Christmas to these kids, but they delivered it to us in their bright smiles and personalities. The important thing to remember is to get yourself out of your apartment. Get yourself out onto the streets and walk, explore, and find the adventures. You never know what you might encounter, but encounter you will…almost daily. 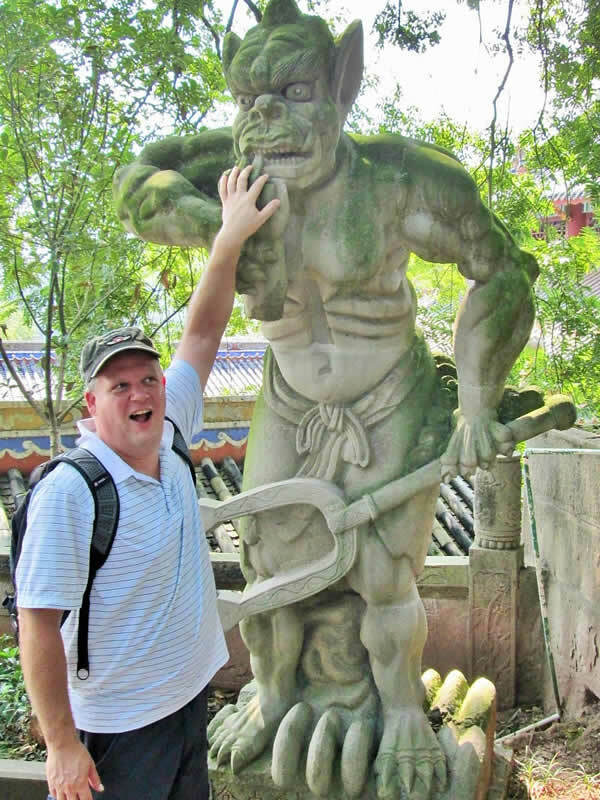 Fengdu, China’s ghost city, consists of buildings, dioramas, and statues related to Diyu and Naraka, concepts from Chinese mythology underworld or hell. You will never see anything like it anywhere else. This is just one statue of many monsters awaiting you as you climb the stairs to the temple. Kids are kids no matter where you go in the world. Give two boys a pair of sticks and eventually they will turn them into swords or guns to play with. Whether you teach kindergarten, primary school, middle school, or high school, the students are very similar to other children around the world. They can be frustrating at times, but even at their worst, as ESL teachers, we love teaching and learning with them. Regardless of the reasons you chose to leave your home country to go to a far and distant land, it is always the kids and their education that drives us to endure what we do. If the love of teaching ever leaves your heart, it is time to go back home. May that love never disappear from you so that you can continue to inspire and lead your students to better lives and happier endeavors. Shortly after my arrival to China, I visited a war memorial. Two girls asked if they could take a picture with me. Feeling honored, I agreed. The next thing I knew, I am surrounded by these students. They made me feel like a rock star. It was great exposure to Chinese hospitality. I have never experienced anything better, anywhere. As an ESL teacher you may be included in your school’s advertising. I always try to make the most of it & ensure that the kids have the best experience possible. This is why you find me laying on the ground like a beached whale with these great kindergarten kids. 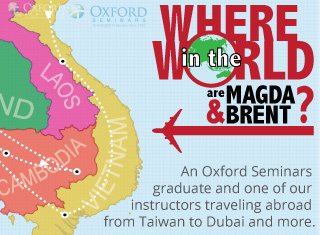 Want to learn more about teaching English abroad? Visit a free information session or download a free course guide. 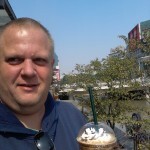 Bill Gain is an Oxford Seminars TESOL/TESL/TEFL Graduate who has been an ESL teacher and blogger in China for four years. For most of his life, he has worked with young people in recreation and special events. He has a bachelor’s degree in Communication/Public Relations and a master’s degree in Recreation and Special Events Programming.